December, usually one the quietest months in terms of closings, saw nearly 7200 sales, matching November demand and up 0.8% from December 2016 units. This robust demand relative to shrinking active inventory (down 8.9% from a year ago) means homeowners are poised for another year of significant equity gain. In 2017 there were over 95,000 closed ARMLS residential sales and 117,000 new listings, an extremely high 82% absorption rate. 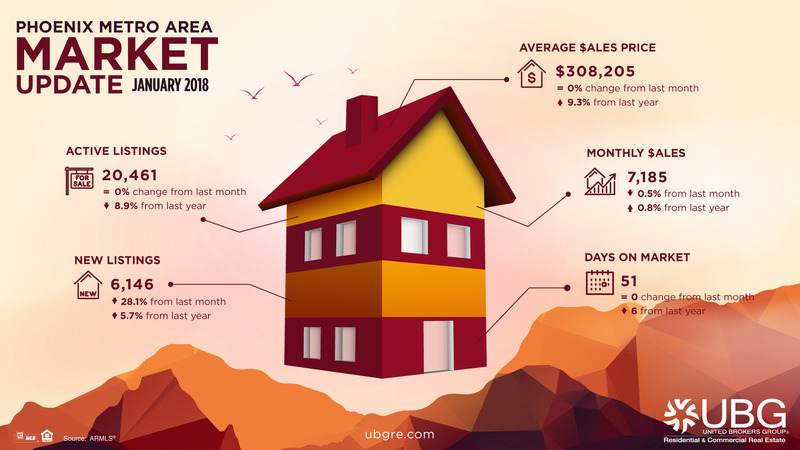 2016 and 2017 marked long stretches of supply and demand trends that favored sellers, with momentum pointing to more of the same.